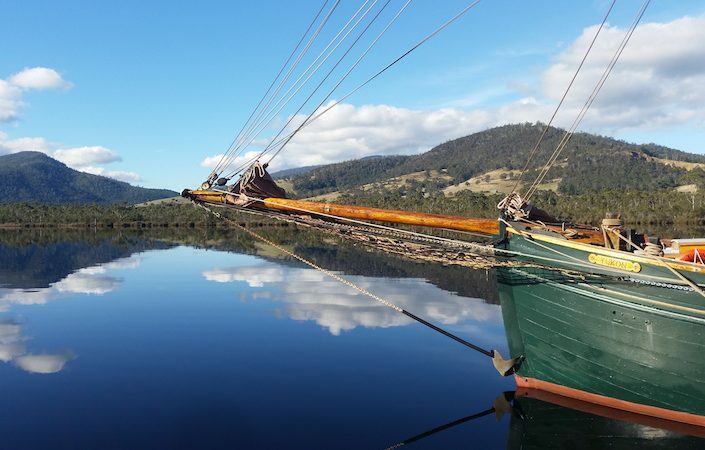 This summer we’re setting sail with Sunday lunch cruises down the Huon River aboard the good ship Yukon. Rescued from the bottom of a harbour near Copenhagen, the Yukon is a beautiful 80-year old Scandinavian tall ship that now sails on the tranquil waters of the Huon River. With delightful skipper David Nash, you can hoist the squaresail, learn more about the ship’s amazing history, or just sit back and feast on a picnic basket filled with farmhouse goodness from Fat Pig Farm. Click here to book.